Location: Epsom Central Premier Inn, 2-4 St Margaret’s Drive, Off Dorking Road, Surrey, KT18 7LB. Assessment: The course includes a 1 hour, open book City & Guilds 2377-22 In-service Inspection and Testing of Electrical Equipment examination. 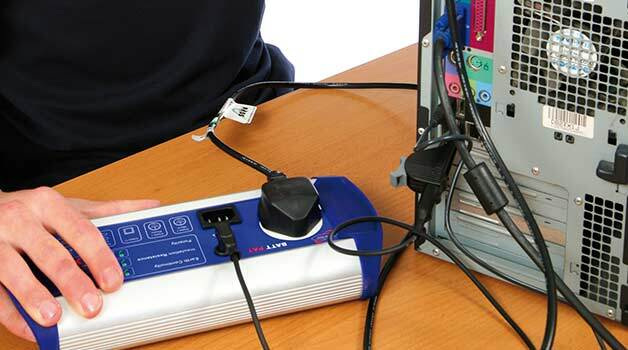 The course is suitable for those who would like to carry out pat testing as part of their job role or for anyone who wants to be a full time pat tester. It is recommended that you bring along with you a copy of the IEE Code of practice for In-service Inspection and Testing. These books are available to purchase from our sister site or we sell one to you prior to the course. The City & Guilds 2377-22 In-service Inspection and Testing of Electrical Equipment training course, also known more commonly as PAT Testing, will teach you the theoretical background behind PAT Testing and also give you some time to carry out some practical work. This course is a great starting point for anyone who wants to get started in PAT Testing and who is based in or around Surrey.